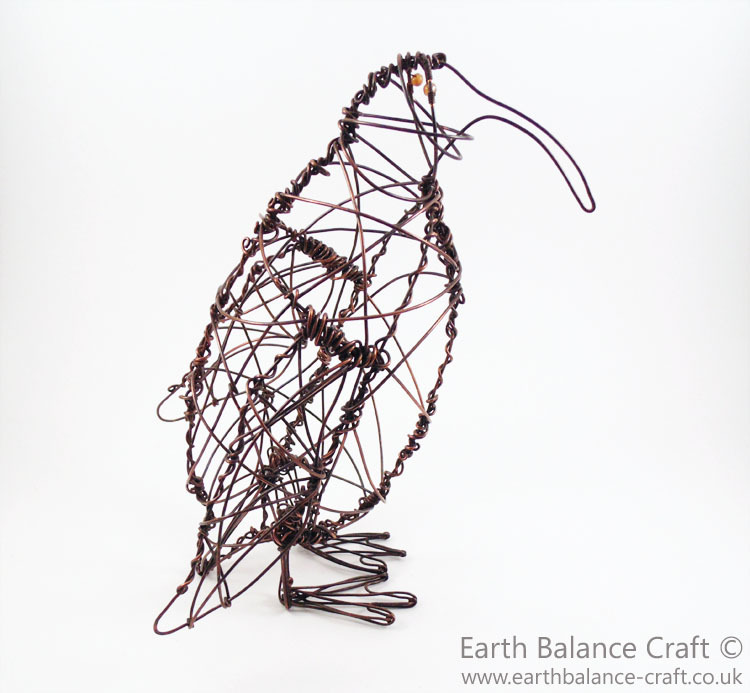 The Making of the Penguin - Hand Crafted Copper Wire Wrapped Bird Design. 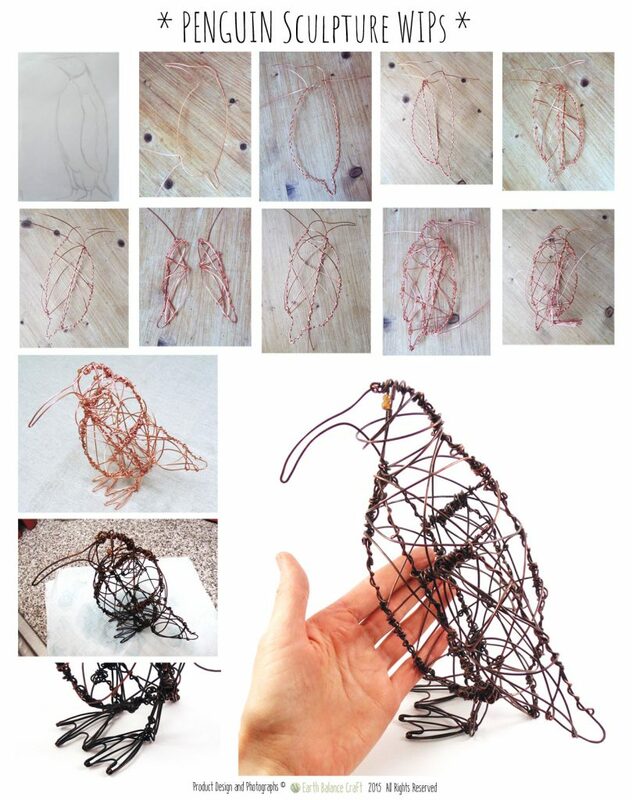 Sharing with you the work in progress sketches and photographs of my copper wire work penguin sculpture. The design is based on free form cage styled wire-wrapping technique, following the plump contours of the penguin. The design combines 2D and 3D elements to create a free standing ornament for the home. Available to purchase in the webstore here. Have a browse over my other ‘bird creations‘ made from copper wire. To view over a variety of other artisan copper wire-work jewellery and craft projects click here, and for my range of downloadable craft tutorials visit this page.